I love fall in Oklahoma because that is usually when we get the best produce from the garden, especially when it comes to the peppers. Trim cherry pepper stems. Divide peppers, garlic, bay leaves, and peppercorns among 2 quart-size and 1 pint-size sterilized glass jars. Bring vinegar, water, sugar, and salt to a simmer in a medium saucepan over medium heat. Cook until sugar dissolves. Pour hot pickling liquid over peppers, leaving 1/4-inch headspace at tops. Can in water bath for 15 minutes. Martha says to serve this over a soft cheese like Burrata. 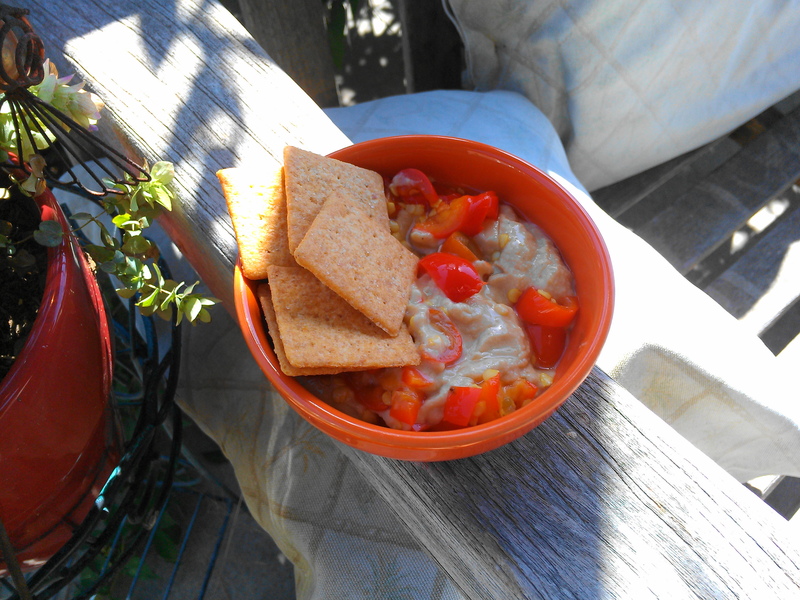 I like them chopped and stirred into some hummus! Hey, Abigail. Hope you are feeling great today and enjoying some fall weather too. 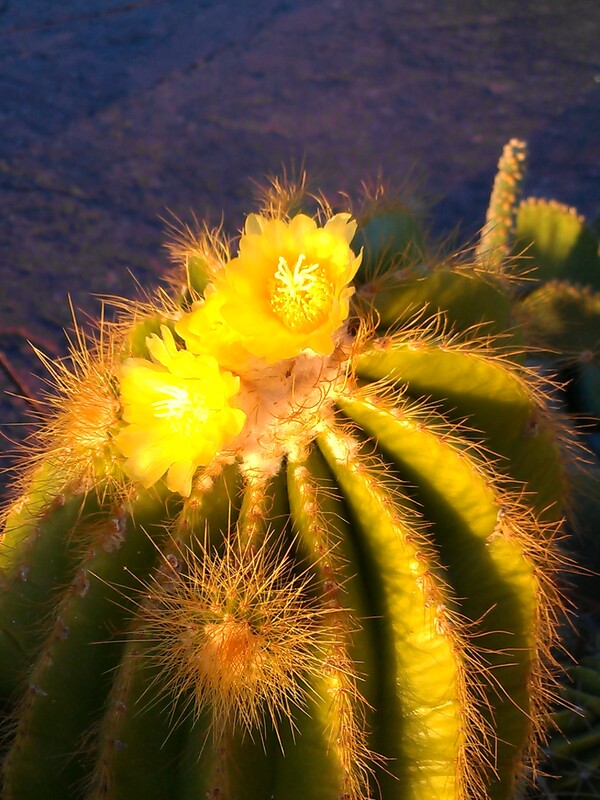 Here is another prickly flower for you today. I just absolutely love it when the cacti bloom! Hugs and giggles! Whoops! And, happy belated birthday!!!!! 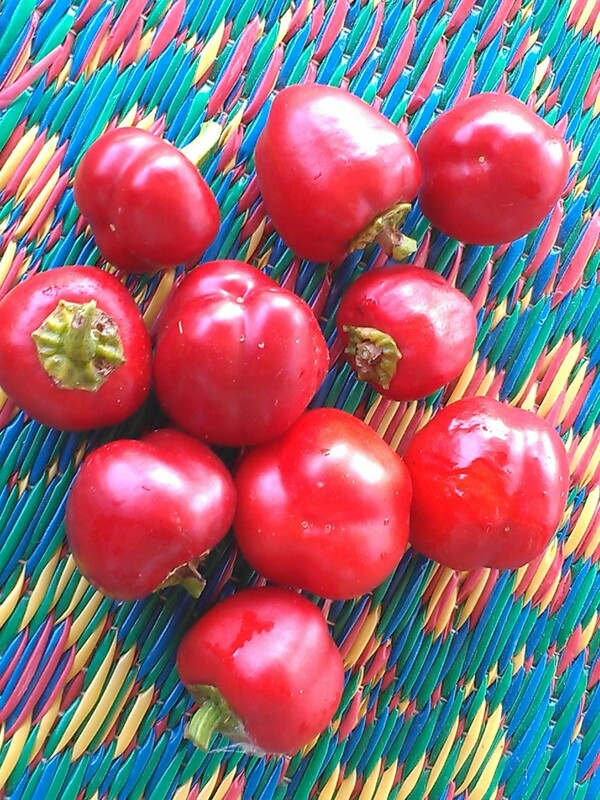 Pickled Cherry Pepper giveaway? They look great. Our season is done, done, done unless you have a hoop house or something…can you feel my envy? I’m getting the last of the potatoes out today, got a little kale left (it’s a trooper) then time to clean up and amend….sad days. I am selfish and I don’t have that many! LOL We just planted the fall garden—-WAY behind but we can cover ours with hoops. More envy? I have never seen or had cherry peppers! Love your lunch!! it was delish! Thanks, Angie. Oh yum! Both the Burrata and the hummus ideas sound wonderful as does eating them right out of the jar! For some reason, I find them a bit bitter right out of the jar. They are better mixed with a cheese or hummus. We didn’t have much luck with our peppers this year, alas. Weird, because normally they grow well for us – but the weather was unusual. I love pickled peppers, and these cherry ones look so pretty! Really good stuff – thanks so much. It has been just the last month that our peppers have done really well! Ch-ch-ch-cherry bomb! LOL They were pretty maintenance free to grow. 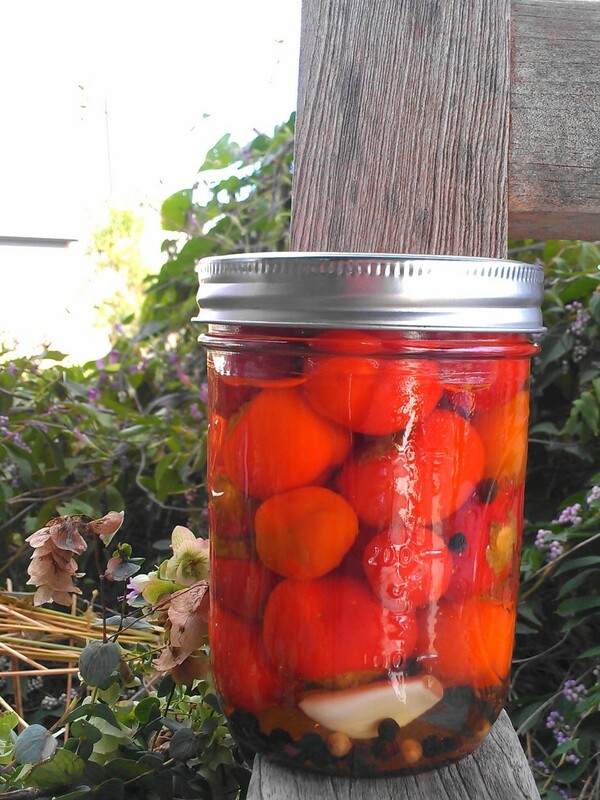 Your pickled cherry peppers look delicious and especially pretty in that jar! I can only imagine how good they taste, yum! Gotta save this recipe for next year! My absolute favorite pepper of all! My family have grown cherry bombs for ever and we pickle whole, sliced and even chopped up version like Jersey Mike’s has!